The Green Ribbon is the newsletter of Lori's Hands, Inc. This newsletter is intended to keep the friends, family, and other supporters of LH up-to-date. For more information about our organization, please feel free to check out our website. First, we'd like to say welcome to all of our new subscribers! Whether you've been with us since 2009 or you just learned about Lori's Hands, we have some very exciting updates to share with you all. As always, please contact us with any questions or comments at contact@lorishands.org. 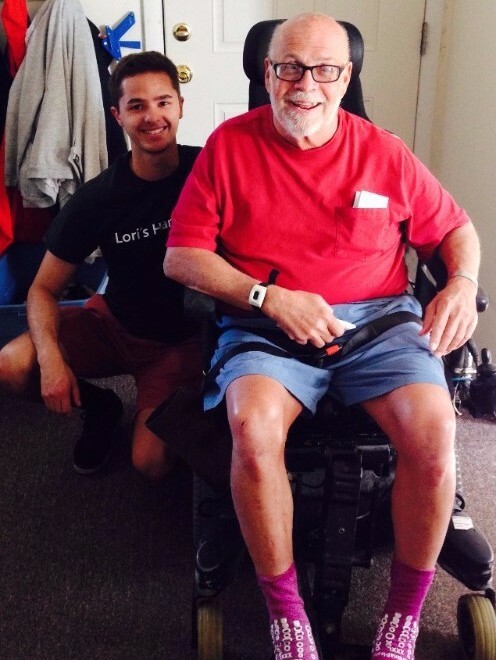 Student engineers modify client's walker in Sunny Day Fund success! We are so thrilled to announce that our first major Sunny Day Fund project was successfully completed this past week. 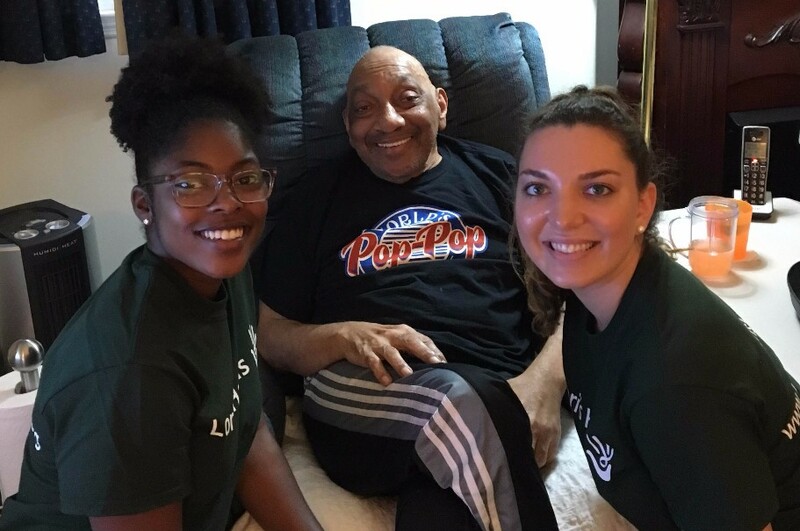 Four student engineers from the Assistive Medical Technologies Club at UD (AMT) spent the last six months modifying a Lori's Hands client's walker so he could take part in one of his favorite activities: cooking dinner for his family. This project is exactly what we had in mind when we established the Sunny Day Fund one year ago. We couldn't be more pleased with the end result, and we have YOU, our supporters, to thank for making it possible. You can read the full story (and see more photos) on our blog here. The total cost of project supplies as well as purchase of a temporary walker for Dom to use while his was being modified was $330. To donate directly to our Sunny Day Fund and support another high-impact project, click here. Earlier this month, the 2016-2017 LH student officers--Madi Swenson, Alexandra Bunzel, Liz Leonard, Isha Purang and Judy Yang--and our dynamite summer intern Alyssa Benajmin were honored in Dover by Delaware Governor Jack Markell. Gov. Markell remarked in his address, “One of my greatest honors is recognizing the volunteers each year who give back to their communities,” Gov. Jack Markell said. “Their acts of selflessness empower so many other lives and contribute to a stronger and healthier Delaware for all of us. Tapping into their generosity is one of the keys to realizing our state’s potential, recognizing that government alone can’t solve all of the challenges we face.” You can read more about the event here. 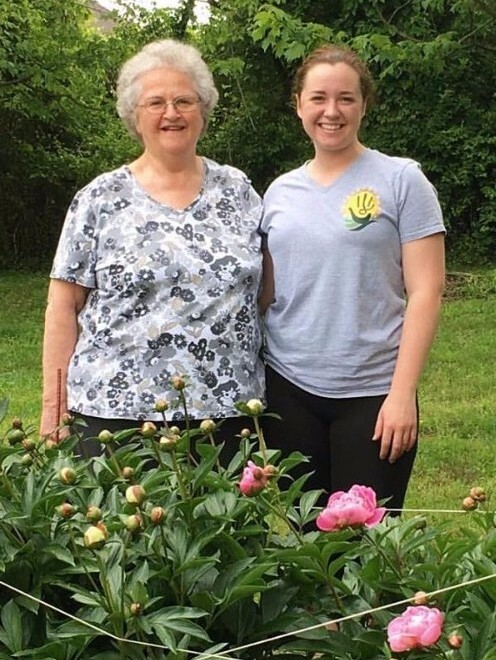 Lori's Hands is now a placement site for the UD nursing program's community clinical rotation, and two students, Hayley Meadows and Sarah Varnes, were recently recognized for their work with a caseload of 12 Lori's Hands clients. You can read about Hayley and Sarah's experience in UDaily here. 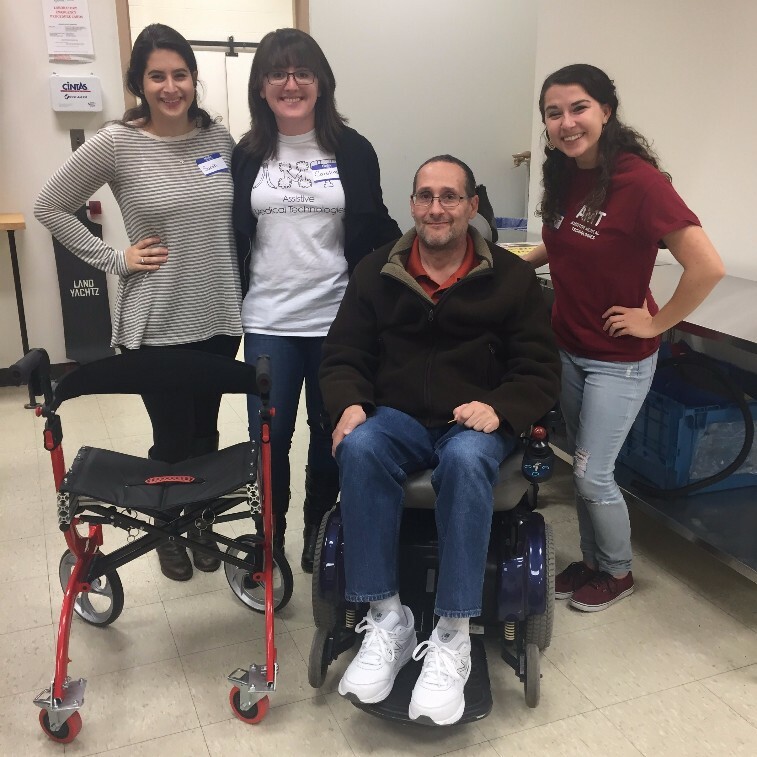 Assistive Medical Technologies Club members Sarah, Caroline and Erica pose with client Dom and his modified walker. 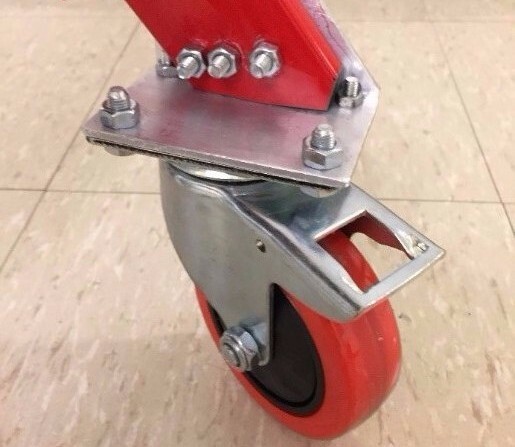 An up-close view of the new 360° swivel wheel on the modified walker. For more photos (and a video), visit our blog. 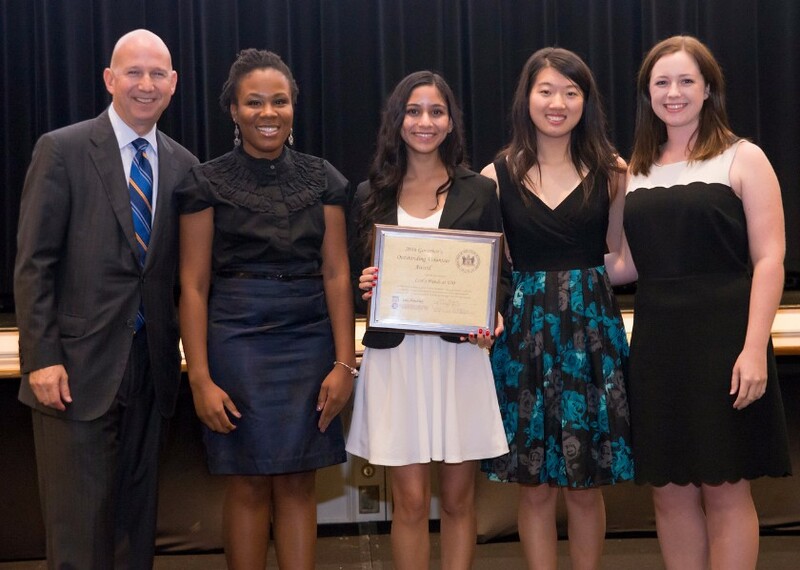 Governor Jack Markell with LH students Alyssa, Isha, Judy and Madi. 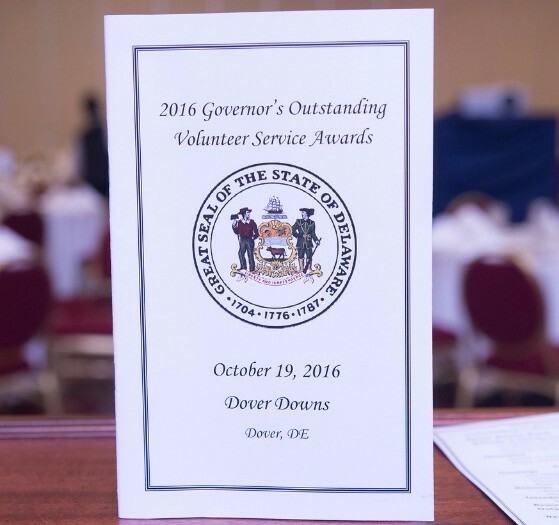 The Governor's Outstanding Volunteer Service Awards presentation took place October 19 in Dover. 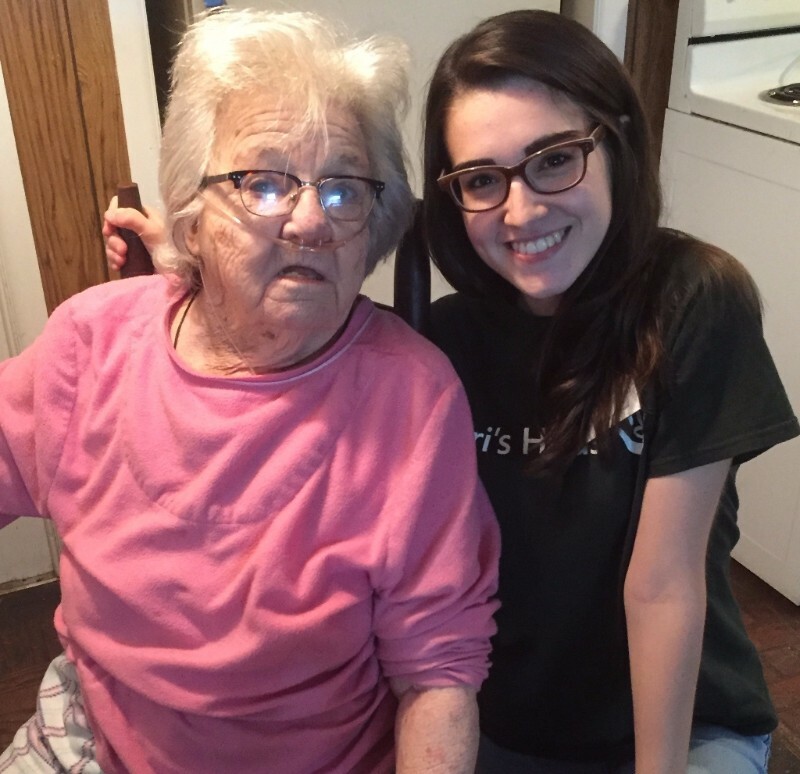 Client Nancy with volunteer Hayley Meadows. 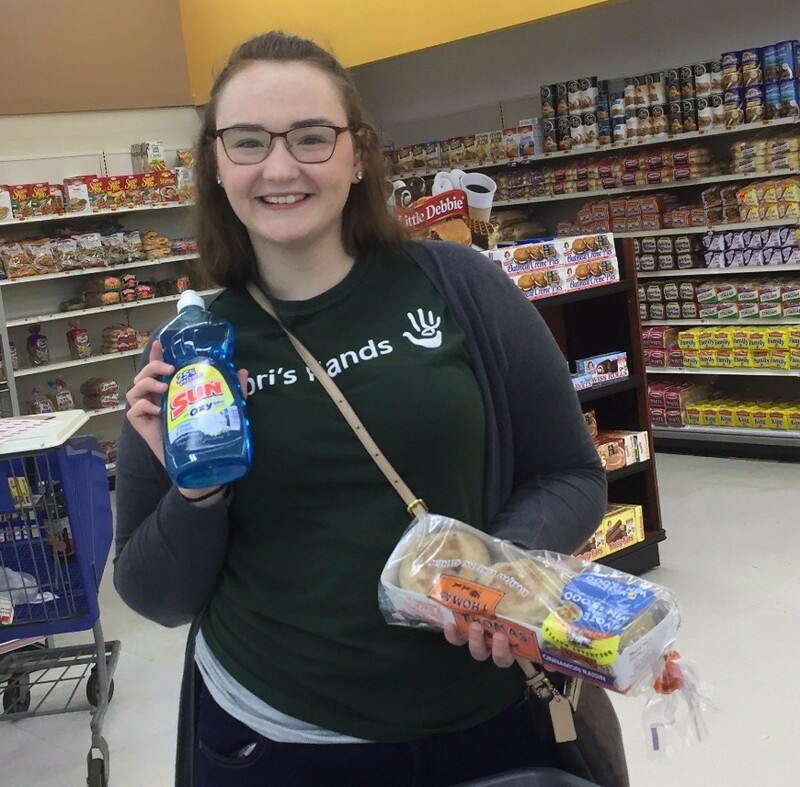 Volunteer Sarah Varnes picks up some groceries for a client. 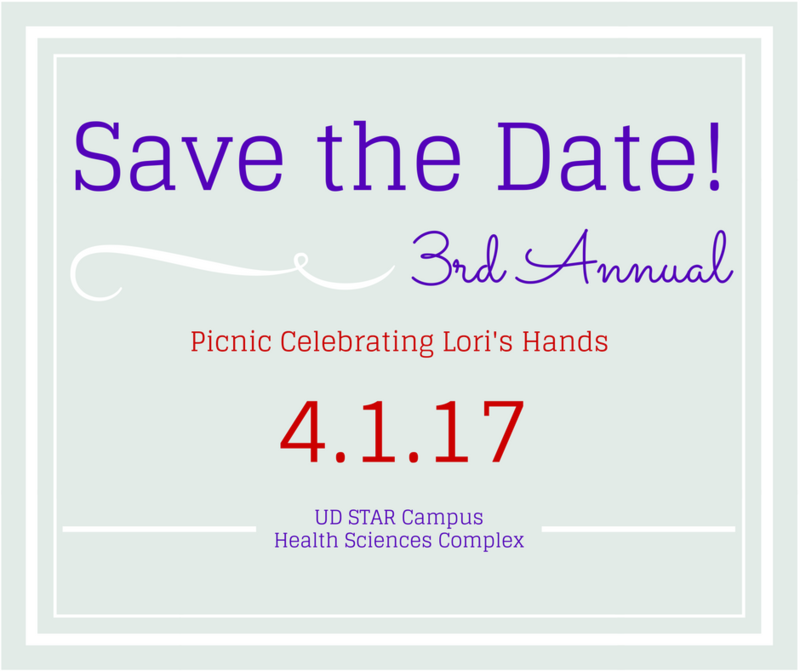 We are so excited to announce that our third annual Lori's Hands Picnic will be held April 1, 2017, on the STAR campus at UD! The past two years have been a phenomenal success and have helped us raise over $20,000 for our programs. If you know of any business that might be interested in sponsoring this year's event, please let us know. We hope to see you all there! Don't forget to use Amazon Smile! When you make a purchase through Amazon Smile using our unique URL, Amazon donates 0.5% of the purchase price to Lori's Hands every day. Get your weekly shopping done and support Lori's Hands at the same time! Top left: Volunteer Cooper and client Dave; Top right: Client Pat and LH @ UD President Madi; Bottom: Volunteer Miao with Client Virginia's dog. We love our clients and volunteers! 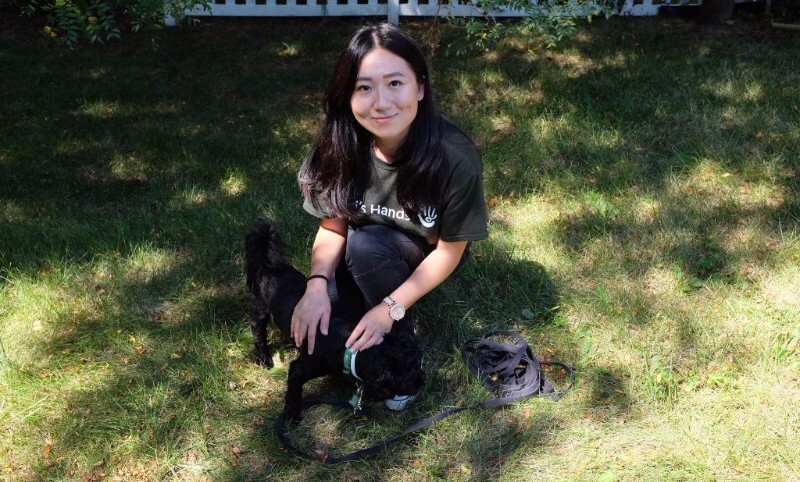 Follow us on social media (links below) for more photos and updates, and don't forget to visit our blog for more LH stories. Lori's Hands Inc. ©2014 , All rights reserved.